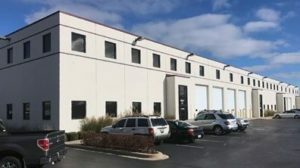 Brown Commercial completes 32K SF industrial building sale in Lake County | Brown Commercial Group, Inc.
Brown Commercial Group has completed the sale of a 32,000-square-foot building at 28W206 W. Commercial Avenue in Lake Barrington, Illinois, in Chicago’s northwest suburban market. The buyer, PEGA LLC, will use 10,000 square feet of the building for its own industrial business, while leasing the remaining 22,000 square feet to an existing tenant. The building’s seller, Freund Properties LLC, had also used the building as a user/investor. Brown Commercial Group senior associate Jim Pietrarosso represented the buyer and seller in the transaction. The sale price was $2.65 million. Pietrarosso has a long-term relationship with the buyer, a company that manufactures, assembles and distributes point-of-purchase displays for retail use. He had represented the buyer in selling its first 1,500-square-foot industrial space, then negotiated a 3,000-square-foot lease in Lake Barrington and the company’s subsequent expansion into leasing a second building, a 5,000-square-foot space in Lake Barrington. The Commercial Avenue building includes 9,100 square feet of mezzanine office space and can be configured into space for up to four tenants. It has four docks and drive-in doors as well as separate entrances and meters for each tenant. The building currently is fully leased.